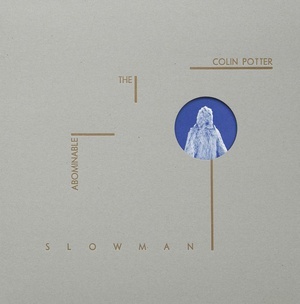 The Abominable Slowman, is the logical follow-on from Colin Potter's previous 2015 LP, Rank Sonata (HG 1505LP). 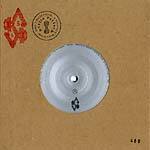 Like that album, there are elements that were recorded many years ago, but this work also contains new music. Again, the emphasis is on rhythm, although the rhythmic components range from conventional drum sounds to strange electronic and/or mutated outbursts, often accompanied by squalling guitars. As to what this sounds like, keywords would be: soundtrack, experimental, ambient, electronic psychedelia, contemporary, drone... There's constant experimentation throughout the album, a search for never-before heard sounds to create obscure atmospheres and a pleasantly disturbing feeling of disquietude. The LP is housed in a beautiful grey cardboard sleeve, hand-printed by letterpress, and die cut to reveal the printed inner sleeve, which features a number of pictures of The Abominable Slowman during the recording of the album at IC Studio's current London location.